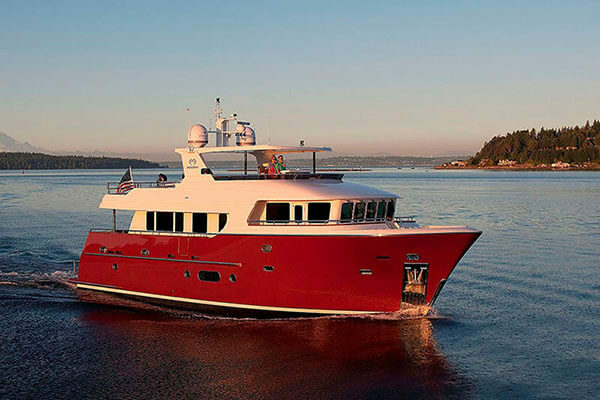 The EP Series yachts are intended for the adventurous owner who appreciates refined luxury and high-end amenities. Designed for efficient and comfortable cruising and the ability to explore, the yachts in the EP Series feature dual-engine propulsion that affords an extended range and remarkable fuel efficiency. 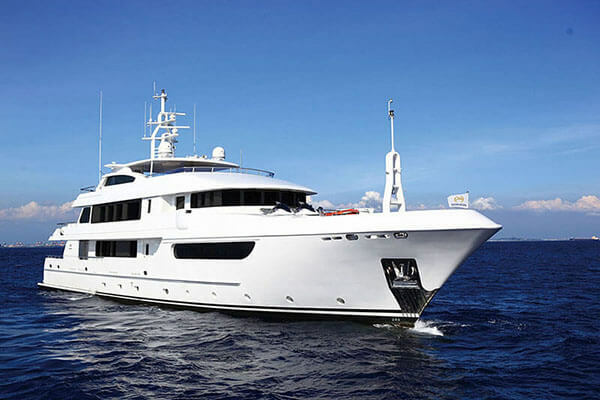 Constructed of FRP using Horizon's advanced composite construction methods, the entry-level EP69 is truly a pocket superyacht that offers the styling and performance of an explorer with the interior volume, three-stateroom layout, crew quarters, interior helm, large flybridge, and high-end details of a luxury yacht. At the opposite end of the series, the ice-classed EP150 is a no-nonsense steel/aluminum long-range expedition superyacht that encompasses the safety and quality necessary for world-class exploration with all of the options of a custom yacht build.